I am trying to reuse the same menu item (LVOOP Assistant) for (at the moment) two seperate Provider plugins (Create Child Class, Rename LVOOP Labels) - i.e. each have their own ini file etc.. 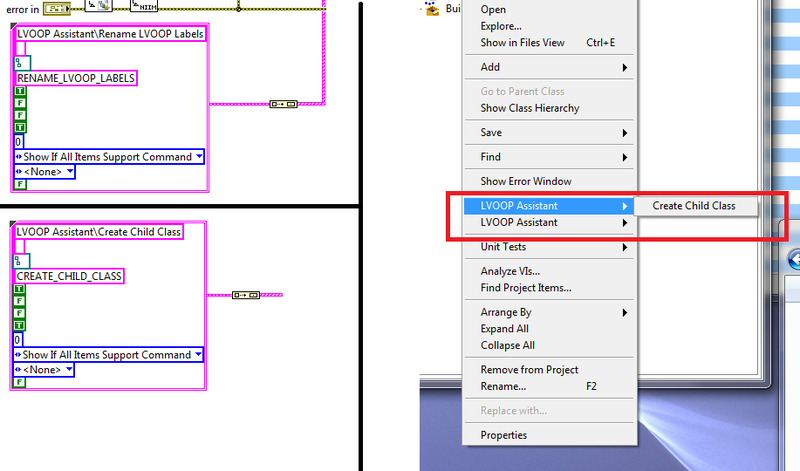 However, it creates two seperate entries for LVOOP Assistant. Is there a way to fix this? - I experiemented with weight but that didn't help. If not I am guessing I may have to just release everything in the one provider.